Devon is the only county in Britain with an interrupted coastline on two different stretches of water, the Bristol Channel to the north, and the English Channel to the south. 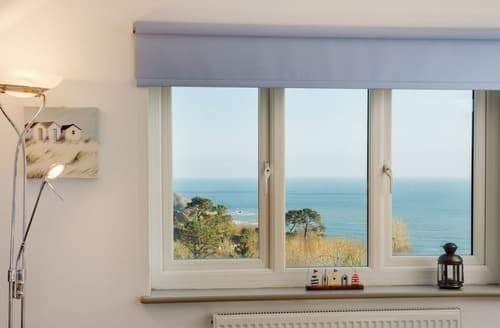 The coastline, and landscape, varies immensely, with long sandy beaches, rugged cliffs, muddy estuaries and small ports littering the coast, and the interior being occupied by the bleak, but beautiful, wilderness and many cottages on Dartmoor to the south and a part of Exmoor in the north. 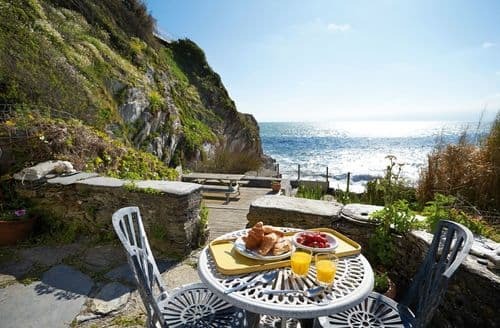 In addition there are the delights of the English Riviera, and the sailing centres of the Teign, Dart, and Kingsbridge estuaries, with Totnes, Dartmouth and Salcombe being the most popular resorts for those who like messing about on the water, and yet the north coast is a draw for surfers. A note of warning to those not familiar with tidal boating, if you rent a boat and head up-river remember that the tide goes out, and you can end up stranded on a mud bank. This is fine if you have moored up to a pub and enjoying a good lunch, but not so clever if you are trying to get back to return the boat to the yard or heading home to your rental cottage. The largest of these is the River Dart which reaches deep into south Devon and has a myriad of tributaries which lead to secluded villages, well protected from the outside world and normally reached by land along narrow winding lanes. This has preserved the character of the architecture, the local atmosphere, and the natural charm of the area. Quite a lot of the little cottages in the South Hams district tend to have a pub situated next, or very close to, the village church and so represent the hub of the community; so find the church and you will doubtless find a drink within a few yards. The largest town on this estuary is Totnes, founded in the 12th century, finally gaining much of its wealth trading cloth with the French in return for wine. There is a substantial marina, and, for those with a big car, an excellent bathroom shop. The centre of the town has plenty of heritage sites, including the house of a merchant who made a fortune from pilchards. At the mouth of the river is Dartmouth with its world famous Royal Naval College perched on the shore and still retains a strong connection with the sea. Every year cruise and tall ships stop here, and this year is no exception with the star of the Hornblower series due to visit this summer offering short trips out to sea giving you a taste of 18th century life in the navy. The town has various other non-nautical attractions throughout the year with food and walking festivals happening on a regular basis. The English Riviera stretches north up the coast from Dartmouth and comprises the three towns of Brixham, Paignton, and Torquay that skirt Tor Bay. Brixham, at the southern end, is an old fishing town and the harbour is at its heart. Always associated with the sea, this town was once a haven for smugglers and all sorts of skulduggery. Narrows alleys lead away from the quay and the old part of town has changed little over the years, and the fishing boats still land their catch on a daily basis, so you can expect the seafood to be of the freshest. Around the town there are lovely cliff walks, small coves and old smugglers caves to explore. The town with the most beaches is Paignton and boasts nine which stretch for over several miles around the bay and you can view most of them from the comfort of the Paignton and Dartmouth Steam Railway. This runs a regular service during the summer and on special occasions during the year and is a spectacular way to see this part of the county. 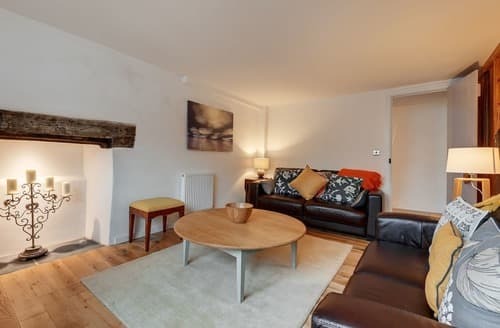 The town is at the heart of the tourist trade and has plenty to offer for all ages, with a cinema, zoo, pier, theatre numerous hotels and self-catering accommodation and, in addition, the seafront is softly lit up at night for romantic late night strolls. On the edge of the town are the offices of the town council, in Oldway Mansion, the former home of Isaac Singer, the American founder of the Singer Sewing Machine Company. Forced to leave his home country owing to his scandalous private life, this self-made multi-millionaire settled down here and the result of some of his fortune is now enjoyed by the good burghers of Paignton, and with its marble hall and staircase, frescoes, mirrored ballroom etc. is well worth a visit. Mr Singer was some man as he fathered upwards of twenty-two children by at least four different women. No wonder he had to vacate New York. The title of 'Queen of the Riviera' falls to Torquay, given to the town by its Victorian visitors. The town was originally a small fishing port, similar to Brixham, and a home to smugglers, but was expanded when tourism began flourishing and money started to come in with Italianate villas springing up overlooking the Bay, many of them now converted from private houses into small hotels, or available to rent. The town was the birthplace of Agatha Christie and a trail has been created for the thousands of fans who flock to the area to visit her old house, and see many of the sights that feature in her detective novels. Inland, and on the river Teign is the market town of Newton Abbot which sprang into life with the arrival of the railway in 1846 and since then it has been the hub of the local area. 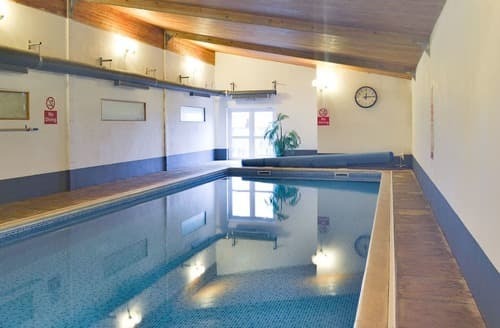 An attractive, mainly Victorian, town with weekly markets selling local produce, Newton Abbot also has a National Hunt racecourse that has regular meetings. Amongst other local attractions to feed the visitor is a hedgehog hospital! Not that you get to eat them, you understand. To the west, and on the edge of Dartmoor, is Buckfastleigh and the famous Buckfast Abbey, home to Scotland's second most popular alcoholic drink. The tonic wine that the monks produce is potent enough to have caused more than one M.P. to have called for their excommunication but it is popular with all sorts all around the world. Do not drive after a glass of this, or if you do then pray for some divine intervention. The monastery is the only one in the U.K. that is open to the public and the Benedictine monks are happy to show visitors around. Drifting south, and west, along the edge of Dartmoor, the next town you will encounter is Ivybridge. As you will discover there is little or no access to the moor by car from this side, only on foot, but you can rent a quiet and isolated cottage that will help. Standing on the river Erme the town benefited from being the only crossing of the river and so all traffic between Exeter and Plymouth had to pass through it. This encouraged the establishment of a few coaching Inns and the river provided the power to keep several woollen mills in operation, and bargains are still to be had just outside the town. This part of south Devon gained its wealth from wool production and some of the small towns became quite rich, however with the main road moving north the town of Modbury has remained virtually unchanged over the last two hundred years, and this charming market town is a jewel just off the main road. With a wealth of Georgian and agricultural architecture, this is a genteel stopover and is Europe's first plastic-bag free town cementing its environmental credentials. The town has an annual May Fair, a weekly market and is a convenient base to explore the local wildfowl sanctuaries and the western side of the South Devon Heritage Coast. The southern tip of Devon centres around the Kingsbridge Estuary, and most importantly the sailing hub of Salcombe. A sheltered anchorage, with sheltered beaches at the estuary entrance this town is very popular with sailors of all ages, especially those wanting to make a dash across the Channel to France. The town has a very limited access for cars as the streets are narrow so it is suggested that you leave your vehicle at one of the municipal car-parks and take a shuttle-bus into the centre and enjoy the peace and quiet of your rented property. 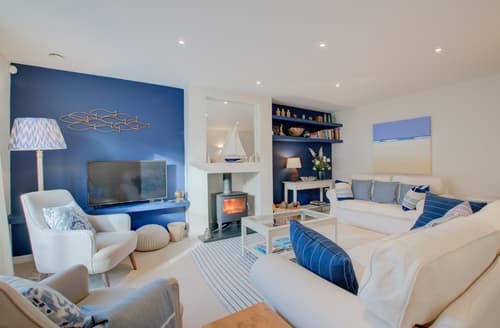 Not only a haven for yachtsmen Salcombe is also one for the artistic community, with a host of galleries and craft shops littering the old town, and with bars and restaurants overlooking the water this is an idyllic place to relax for a while. Kingsbridge itself is the local administrative centre, and being at the head of the estuary tends to dry-out at low tide. A more modern town in some respects and where most of the locals do their shopping. Although it has modern amenities on its fringes the centre has familiar narrow lanes and cobbled streets. Again it has a market but where it differs from other towns they sell different things on different days of the week. The largest place in west Devon is the city of Plymouth, at the mouth of the river Tamar, famous as the place from which The Pilgrim Fathers embarked for the New World, and Sir Francis Drake enjoyed a game of bowls or two. The city is still heavily involved in naval affairs with its Royal Naval Dockyard, training establishments, and ships and submarines moored in the harbour. So, as you can imagine, quite a few sights have a nautical theme, or name, or both. The centre of the city is much like any other commercial hub in England, but as befits a holiday resort there are numerous attractions for all ages from the National Marine Aquarium Centre to ancient Castles and places of interest, and seeing as you are so far from Scotland why not visit a distillery, and Plymouth Gin Distillery is the oldest working one in England and offers tours around the facilities. North of Plymouth, and just off the road to Tavistock, is Buckland Abbey, the former home of Sir Francis Drake and nearly the end of the Drake trail, you may be pleased to hear. The former monastery was converted in the mid-1500s, and came into Drake's possession soon afterwards. Needless to say most of the exhibits centre on the old sea dog. And so onwards north to Tavistock on the western shore of Dartmoor and Drake was born just outside the town. There, finished. This is the western gateway to the wilderness of Dartmoor and in fact there is only one east-west road which will take you all the way to Exeter. The town itself is nowhere near as quaint as those in South Devon as it was founded on the back of the tin, lead, copper and silver mining industries of east Cornwall and west Devon and as it was through Tavistock that most of this metal passed, and was assayed, a certain staidness has clung to the place. 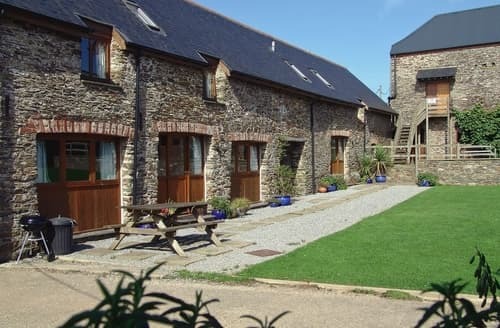 Notwithstanding this, the town has a certain charm, and does offer excellent facilities for walkers, most notably several excellent Doctors, and a handful of Dentists, oh, and some charming cottages up for rent in the vicinity. 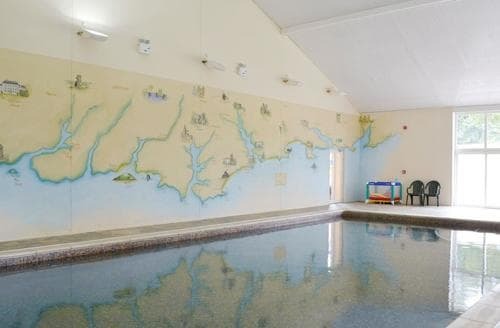 Enjoy a morning swim at S19471 followed by exploring the nearby towns. 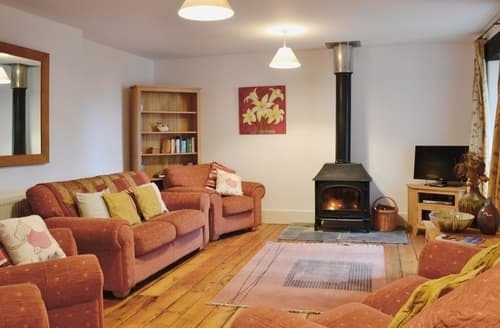 In an evening, relax next to the cosy wood burner. Sleeping 20, S114160 is perfect for friends or family to get together. 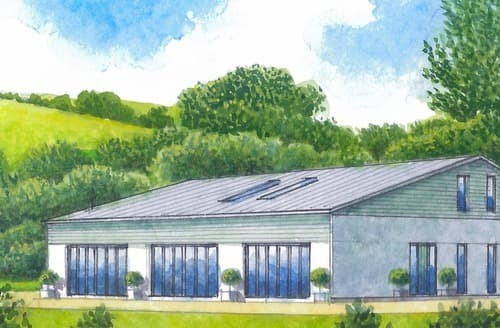 This beautifully furnished, spacious barn conversion has plenty of room for everyone. Ideal for large groups, S19528 sleeps eight and is ideal for countryside admirers who wish to explore the beautiful surroundings. 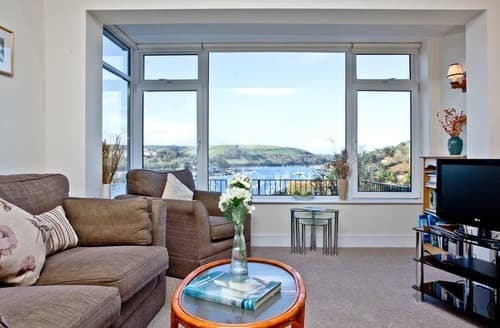 This beautiful apartment boasts beautiful views of Dartmouth and is conveniently situated near to the town centre. 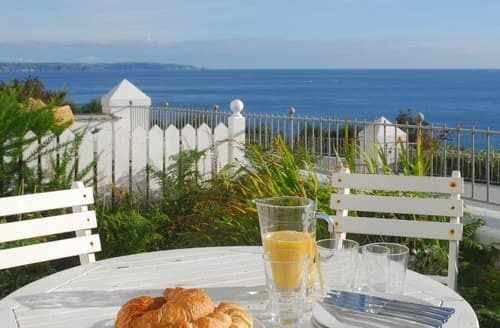 Relax on one of the balconies whilst drinking in the amazing sea views, stretching for miles along the South Devon coastline. 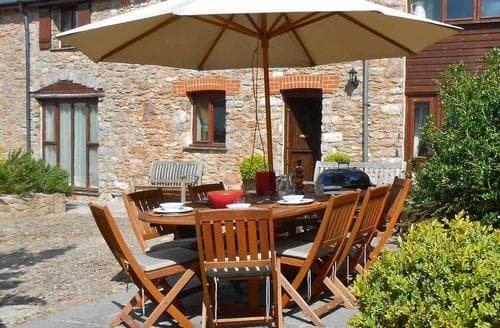 This charming property is situated in 6-acres of countryside with an array of on-site facilities just 3 miles from the South Devon town of Totnes. S19475 has been awarded five-stars and it’s not difficult to see why – it’s exceptionally stylish and guests can enjoy many shared facilities. 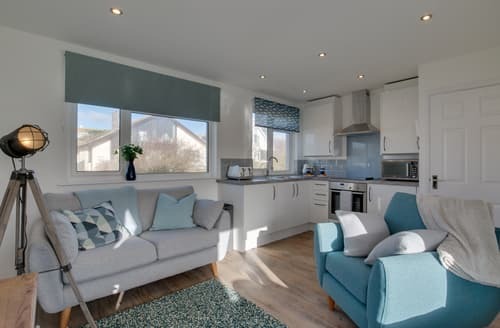 Within walking distance of the Dartmoor National Park, but within easy access of Plymouth, Plymouth Hoe and Totnes for river cruises to Dartmouth. With its own outdoor heated swimming pool and large windows in the living room this Swedish-style house offers truly stunning accommodation. The motorcycle Junior Academy is ideal for the opportunity to try two-wheel off road motorcycling for the first time. 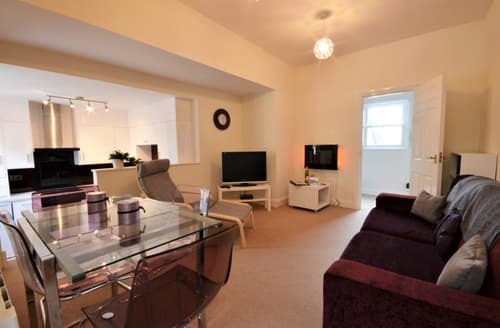 A stylish apartment situated in a stunning cliff top development with far reaching sea views. 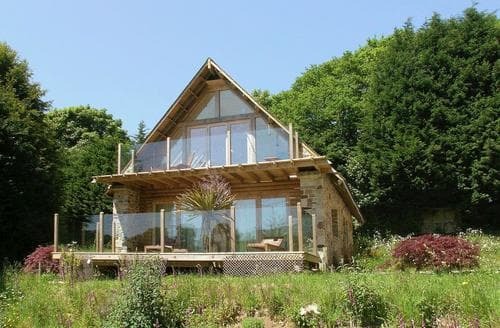 An elegant and contemporary chapel conversion, perfect for a relaxing break in Devon. 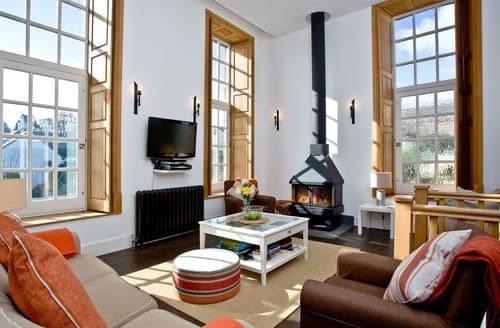 Beautifully restored Grade I listed building housing a stylish and contemporary apartment in the historic coastal town of Dartmouth. Steep, narrow spiral stairs to entrance. 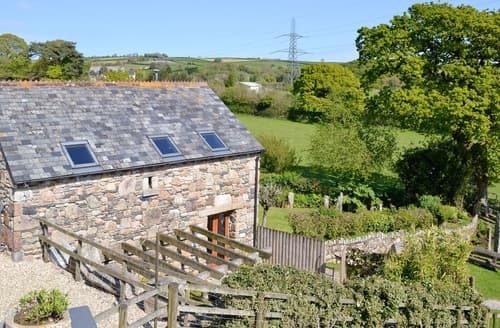 A delightful one bedroom barn conversion with idyllic rural views. 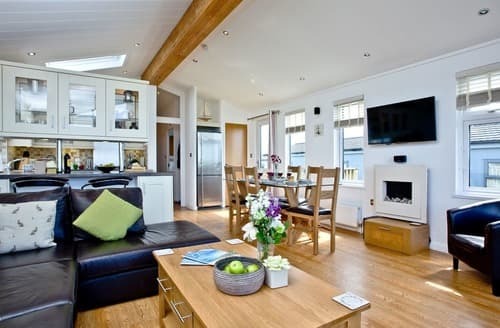 A fantastic family friendly front row lodge, with views over Soar Mill Cove. 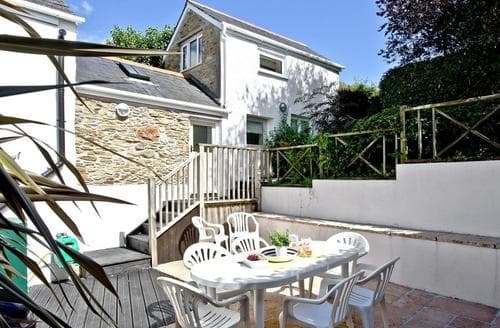 A spacious, detached house with rural views, just a short walk from North Sands beach. 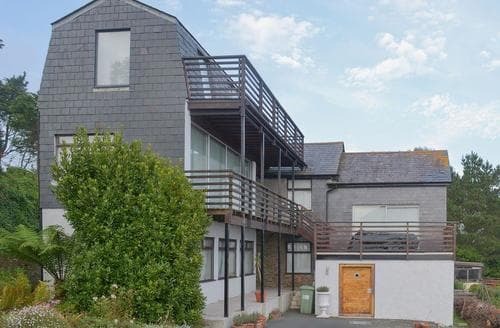 Penthouse luxury within a few minutes walk of an award-winning beach, yet close to Dartmouth.